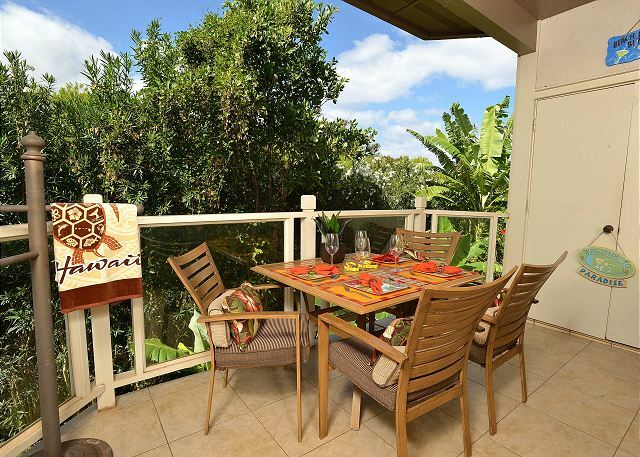 Beautifully decorated and fully renovated two bedroom condominium with garden, some ocean and mountain views. Beautiful hardwood floors throughout, designer painted, granite counters, new furniture and beautiful art all for you to enjoy. 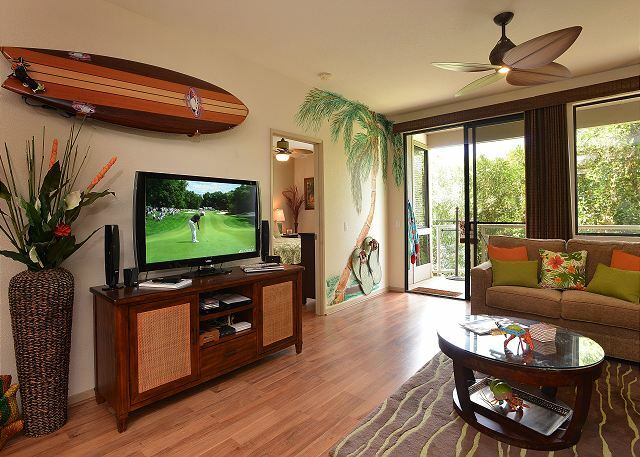 The living room has 54" flat screen TV, DVD, high speed internet, ceiling fans and air conditioning. Granite counters, updated appliances, and new cabinetry, the kitchen has everything you need to comfortably cook all your meals. The master bedroom has new furniture 2011 including a king bed, flat screen TV, new linens, ceiling fan and air conditioning. The new master bath has double walk in shower and dual vanity sinks with granite. The guest bedroom also has new twin beds which can be converted to king upon request, TV, ceiling fan, air conditioning and en-suite remodeled bath. The lush grounds are extremely well tended. 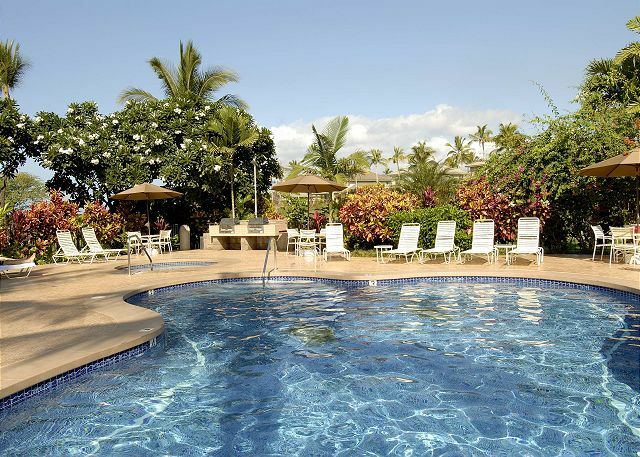 There are two pools, an adult pool and family pool both with jacuzzi and barbeques.The Wailea Tennis Center is right next door. 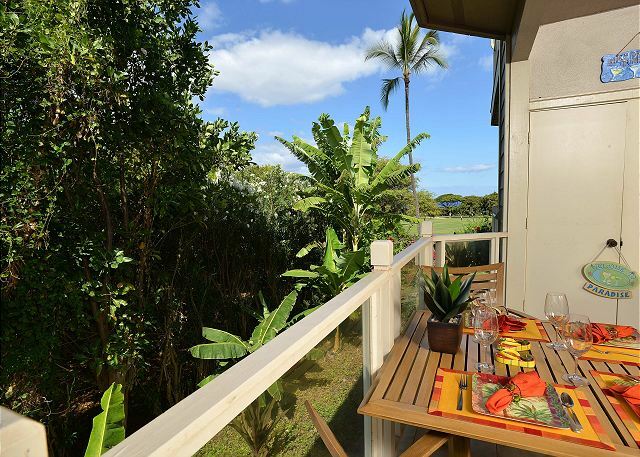 Just minutes away the Shops at Wailea, fabulous, famous restaurants, and exceptional beaches add to your vacation experience. 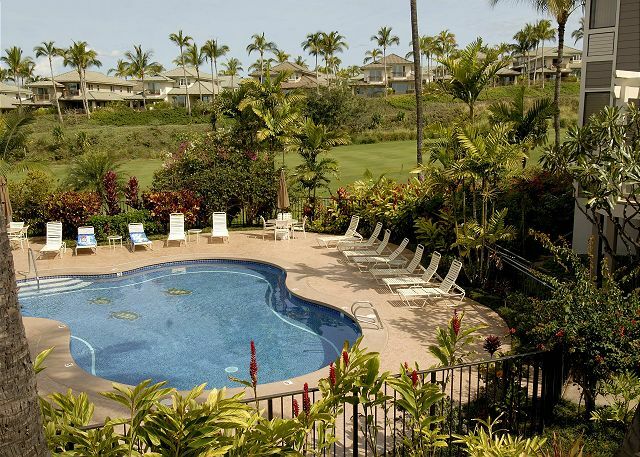 Wailea is a beautiful, peaceful, relaxing community very much enjoyed by everyone.